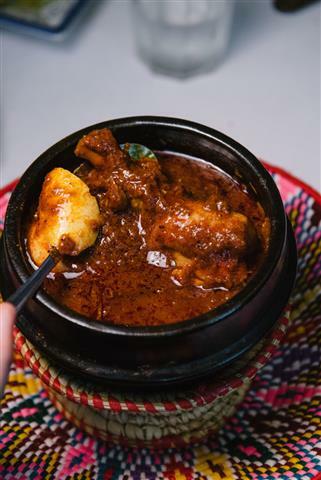 A drumstick and thigh cooked to tenderness in a hot and thick barbeque sauce. Served Ethiopian style with hard boiled egg. 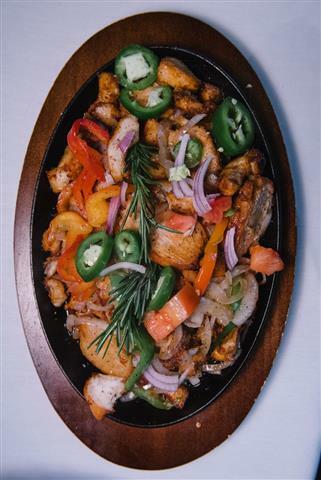 Strips of chicken sauteed in onion, jalapeno pepper and seasoned butter. Pan seared boneless chicken breast garnished with a curry-basil cream sauce. 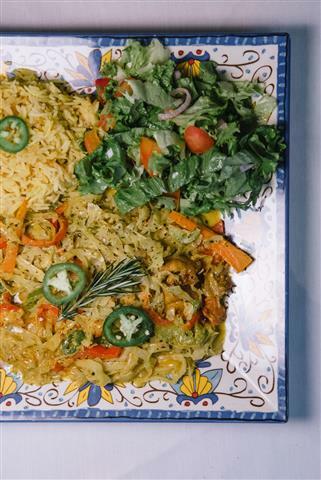 Served with vegetables and rice. Pan Seared boneless chicken breast garnished with a curry-basil cream sauce. Served with salad and rice.